Born with the largest brain of all winged creatures, the raven is highly intelligent and soulful. 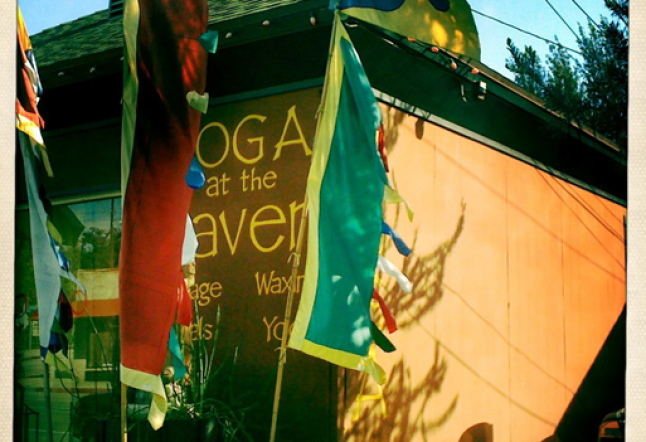 The same is true of the new Thai massage and healing center, The Raven is located at 2910 Rowena Avenue in Silver Lake. 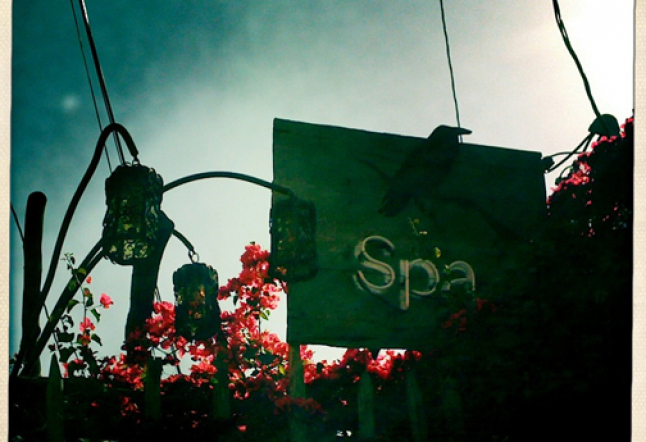 Featuring various massage modalities, facials and body care treatments, The Raven is also the only L.A. retreat offering sensory repatterning. 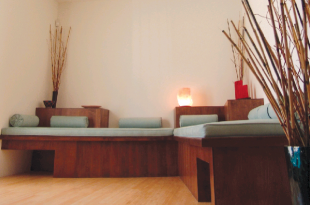 Based on Trager work, sensory repatterning ($80, 1 hour) plumbs the senses and their connections to movement in ever more subtle ways, to help clients release tensions and to breathe and move with mind-body integration, trust and ease. Stepping away from the street and through The Raven’s carved wooden door, one treads on jewel-colored tiles before alighting on one of several woven chaise lounges shaded by Thai umbrellas. While natural light streams in from skylights and from the entryway, The Raven looks and feels ultra-romantic at night, when lanterns, candles and moonlight illuminate the scene. Owners Shauna and Barry Walker based The Raven’s design concept on humble, but superb massage centers in Thailand. With its main wood-beamed room of discreetly curtained Thai massage beds, bubbling fountain and private treatment areas off to the side, The Raven comforts visitors with a basic yet sensually profound luxury that most spas never approximate, much less understand. As in the courtyard, the main room is filled with natural light, but the green walls bathe visitors in a quieter, more introspective ambience. 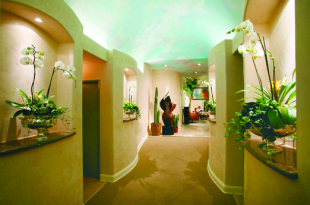 The melodious fountain in the middle of the room delivers pure sound therapy. 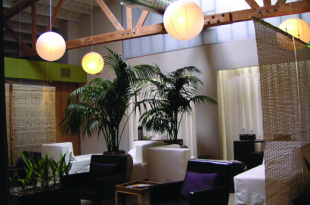 Signature treatments include the Extremity Remedy ($45, 35 min), salt scrub and massage of hands, arms, feet and legs. With aromatic essential oils and cleansing sea salt, this is a wonderful stress-busting treatment on its own. It’s also an excellent lead-in to a traditional Thai massage (performed clothed). 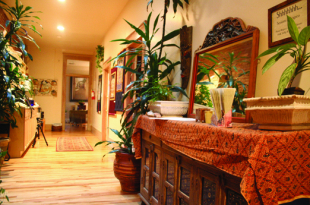 A one-hour Thai massage costs $65.00; couples may also get massaged side by side for $130.00. 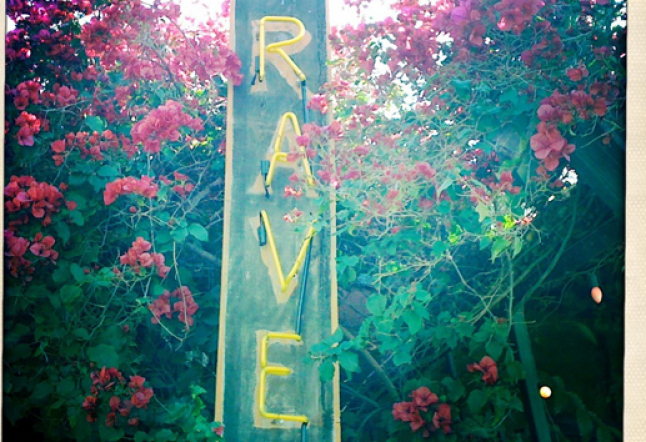 If you can’t afford a ticket to Thailand, The Raven may be the next best romantic place to take your friend or lover. 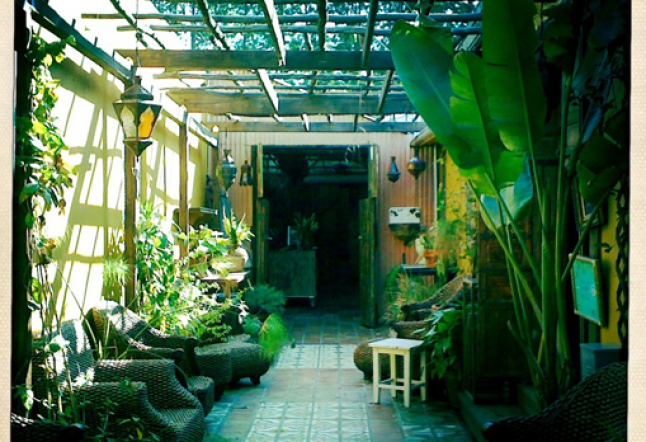 After a massage, you can sip tea together and bask in the courtyard. Accordingly, all of the Thai massage practitioners here are native Thais. Ask for Nikom, a sweet gentleman who is a former Buddhist monk, or Tai, a tiny woman whose form embodies powerful healing skills. 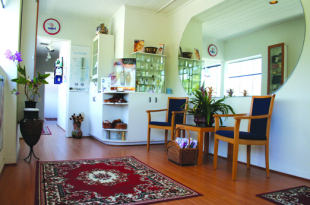 The treatment menu also includes Reiki and Swedish massage ($95, 1 hour), Pregnancy massage ($95, 1 hour) and Hawaiian lomi-lomi ($95, 1 hour). 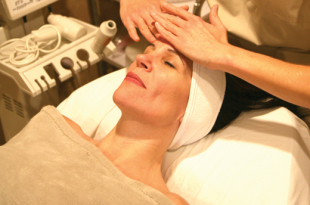 The Face Lift ($55, 30 min) is a head, neck and face massage including an organically-based mask. You may choose to be slathered in dark honey (anti-bacterial), ground oatmeal and banana (anti-inflammatory; lightly moisturizing), or avocado and oatmeal (anti-inflammatory and mega-moisturizing). At the end of every Raven treatment, guests are served a beautifully arranged fresh fruit plate and a glass of water or tea. 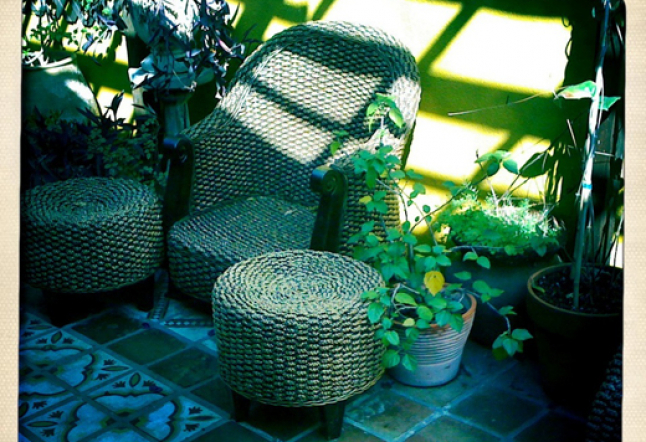 If you linger in the courtyard, this will certainly feel like time well spent.